What Options Do You Have to Refinance Your Home? When you’re considering refinancing your home, it’s common to have a lot of questions. Unlike a first-time homebuyer, you’ve often gone through the mortgage process before and think you may know what to expect. But what options should you take into consideration before filling out a residential mortgage application? There is a wide range of options available for refinancing your home, and selecting the correct one often involves knowing what kind of financial situation you’re facing. Here are some basics to help get you started in the process. Cash-Out Refinance: When you’re in a situation where you need extra cash at a lower interest rate than otherwise available for home improvement loans, college tuition or other necessary expense, a cash-out refinance loan may be a good option to consider. It will typically work best when you’ve built significant equity in your home, which you may then turn into cash, leveraging your home’s equity against the balance of the loan. FHA Streamline: An FHA streamline mortgage is a fast and easy way to save money on your FHA mortgage loan. Depending on the terms of your current mortgage, you may be eligible to refinance with a minimum 5 percent reduction in your payment, with no appraisal, income or asset verification required. VA Interest Rate Reduction Refinance Loan (IRRRL): Did you get a VA mortgage loan to finance your home when the economy was better and the interest rates were higher? If you’ve served in our country’s military, whether you’re currently on active duty or a veteran, getting an IRRRL loan through the VA may enable you to enjoy the lower interest rates available in today’s economic market. With a lower interest rate, you may enjoy either a shorter repayment period or a lower monthly payment with a simple online mortgage application. HARP 2.0 Program: Offered through the federal government, the Home Affordable Refinance Plan was developed when the housing bubble burst. Established in March 2009 by the Federal Housing Finance Agency, it was intended to help homeowners, even first-time home buyers, who found themselves upside-down in their mortgages, owing more than their home was worth. If this describes the circumstances you find yourself in, a HARP refinance loan may be helpful if you’ve kept your mortgage payments current but have not been able to receive traditional refinancing due to the changed value of your home. However, if you’re potentially eligible for this program, be aware that it currently has an application deadline of September 30, 2017 with no guarantee of its extension. 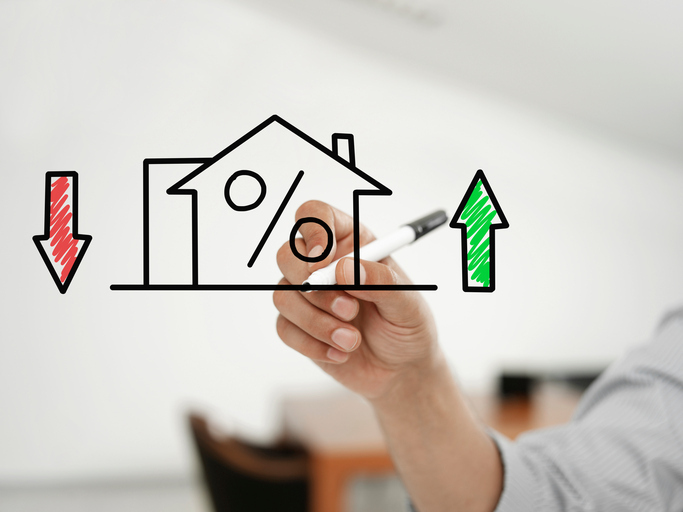 Refinance to a Fixed-Rate Mortgage: If you have an adjustable-rate mortgage and you’re seeing the rates and your payment constantly changing, it may be very frustrating when you need to stick to a budget. When you need to count on a constant payment over a longer period of time, such as during retirement or while on a fixed income, a fixed-rate mortgage refinance may help provide that level of security. By refinancing into a fixed-rate mortgage refinance loan, you may be able to enjoy lower overall repayments and may not need to worry about changing payment amounts over the remaining life of the mortgage. Whether you’re a first-time homebuyer facing an online mortgage process to refinance a bad interest rate or are considering a residential mortgage application to fund investment property, refinancing is often a complex process. Knowing how the process works and what your options are may mean all the difference between negotiating a successful contract and being stuck in a bad deal for years to come. By educating yourself on the options you have available, you may be able to turn a tidy profit on investment property or enjoy that perfect vacation home you never thought you’d have the chance to own.